Viknesh Vijayenthiran September 4, 2017 Comment Now! Large, luxurious coupes and convertibles aren’t big sellers, though the vehicles often play the important role of brand halos, or “dream cars” as Mercedes-Benz refers to them. 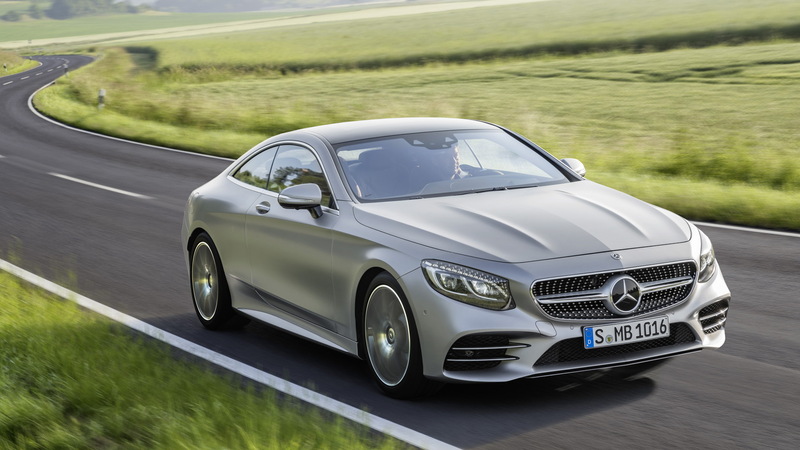 The latest from the Three-Pointed Star are the 2018 S-Class Coupe and Cabriolet. Mercedes’s S-Class sedan was just updated for 2018 with some visual tweaks to the exterior and cabin, plus a revised powertrain lineup. 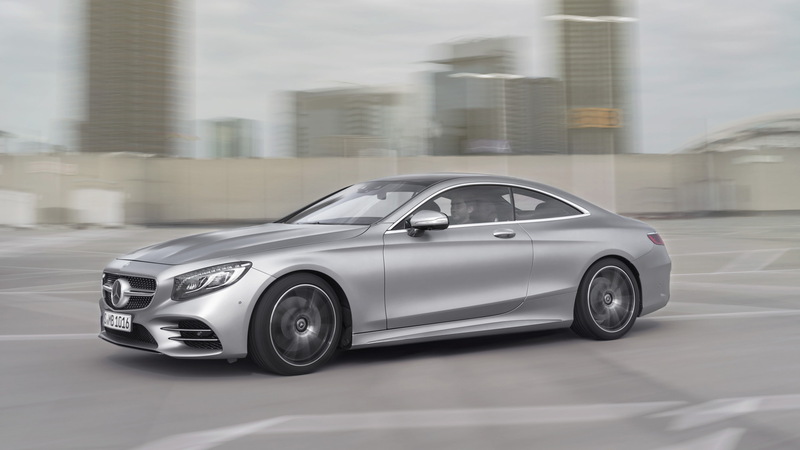 Those same changes have since been implemented on the two-door S-Class models. The updated range will be presented next week at the 2017 Frankfurt auto show but we already have the first details and photos. Visual tweaks consist of new internals for the lights, revised bumpers, and a revised dash with a single pane of glass (instead of the previous two) enclosing the pair of 12.3-inch screens serving as the instrument cluster and infotainment hub. There’s also a new steering wheel with touch-sensitive controls. A highlight is the OLED taillamps which feature wafer-thin layers of organic materials printed on a glass plate and made to illuminate. The total of 66 OLEDs act like floating elements inside the taillamp. Meanwhile, up front, an available AMG Line styling kit adds some extra aggression with large three-dimensional air inlets, each of which includes two chrome-plated fins. The actual models from AMG, the S63 and S65, are further differentiated with the tuner’s multi-slatted “Panamericana” grille. The design first appeared on the 2018 Mercedes-AMG GT R sports car and is slowly making its way across the more dynamic offerings in the AMG lineup. As for powertrains, the S550 has been replaced by a new S560 equipped with a 4.0-liter twin-turbocharged V-8 delivering 463 horsepower and 516 pound-feet of torque. The S63 also receives a 4.0-liter twin-turbo V-8, albeit with 603 hp and 664 lb-ft of torque. And at the top is the S65 which sticks with its predecessor’s 6.0-liter twin-turbo V-12, good for 621 hp and 738 lb-ft of torque. 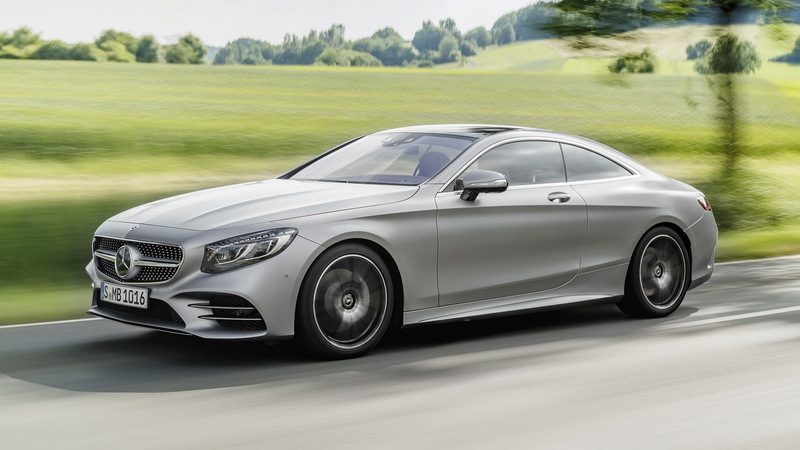 All models feature a 9-speed automatic except the S65 which uses a 7-speed auto. 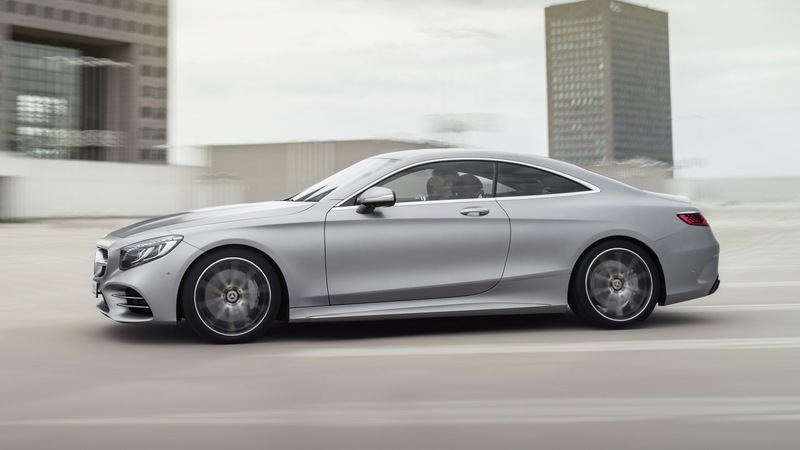 The S560 coupe comes with all-wheel drive while the S560 Cabriolet comes with rear-wheel drive. Over in the AMG garage, the S63 also comes with all-wheel drive while the S65 comes with rear-wheel drive. 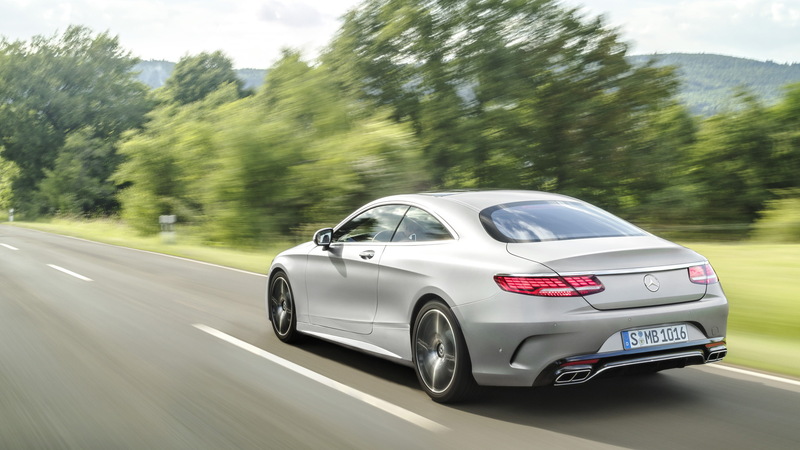 The tech updates of the 2018 S-Class and Cabriolet models are highlighted by a feature enabling the cars to automatically adjust their speed for a number of road situations. Mercedes lists bends, highway exits, junctions, roundabouts and toll booths as examples. The feature relies on enhanced camera and radar systems as well as map and navigation data to calculate driving behavior. Also aiding comfort are available curve-tilting and road-scanning suspension systems which automatic adjusts the suspension to reduce the lateral and transverse forces felt by the occupants. All 2018 S-Class models are equipped with Mercedes’ latest COMAND infotainment system which includes Apple CarPlay and Android Auto smartphone integration as well as wireless charging. The various models reach showrooms in mid-2018. Pricing will be announced closer to the market launch. In the meantime, stay tuned for live shots at the debut at the Frankfurt auto show. The action starts September 12, and you can learn about some of the other vehicles set to appear by visiting our dedicated hub.